Auditions are certainly the first crucial step for an aspiring actor wanting to make it big in the world of TV or films. Going to an audition casting doesn’t mean that you will get the work but it surely means that you have a chance. 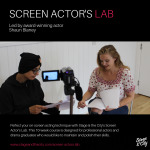 Actors auditions give you the platform to showcase your talent to tv/film producers and directors. If you are able to impress them you could walk out of the auditions hired or you might be left surveying for the next audition. Don’t show that you are nervous. Even if it is your first audition, you need to show confidence. There is no room for nervousness and anxiety on the stage of acting. You must be able to make eye contact with the judges present at the actors auditions if you want to win them over. You should know your lines thoroughly. Reading from the script can spoil things for you at the audition casting. This is because if you need to look in to the script again and again, you won’t be able to focus on your gestures and your body language. The casting auditions judges might not be able to see your facial expressions. But when you know your lines by heart, you can give an impactful performance and can really influence the judges to offer the role to you. Work on your body language and dialogue delivery. It should not appear as if you have mugged up the lines and are delivering them without feeling them. Get into the character. Feel the passion or the intensity of the scene. You can practise your lines before the mirror to see how you look while acting. Dress carefully. Showing up at the auditions in torn jeans will not do. Likewise, you don’t have to wear a fancy dress. Wear simple but impressive clothes that make you look like a professional. With the right attire, you can impress the jury present at the audition casting. Last but the most important; do not be late for the auditions. Open auditions would never give you the exact time so it is better to appear there early. If you reach at the actors auditions early, you will get time to rehearse and to know other actors present at the auditions. Also, you can make contacts which might turn out useful later on.